This wrist wallet is perfect for those who wants to go out without carrying a bag. 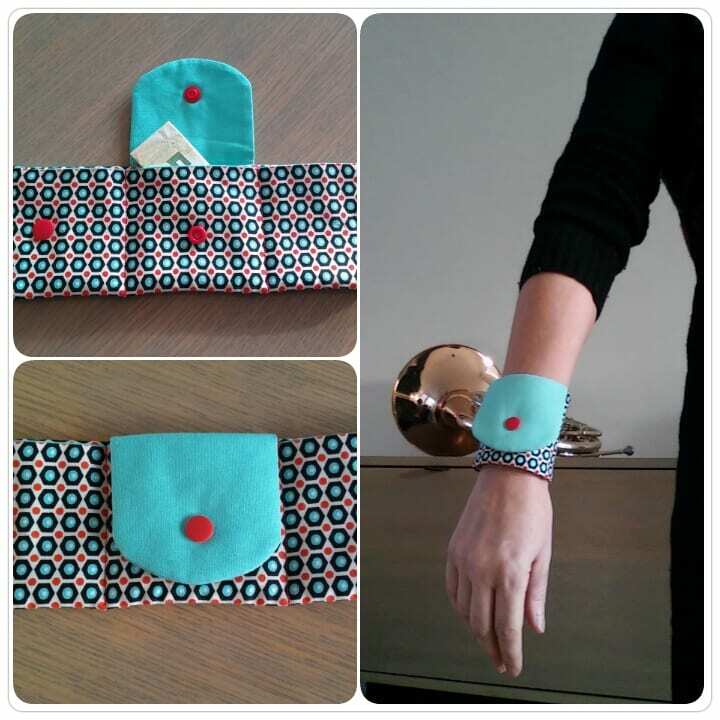 You can put coins, cards or any small thing you wanted to keep on this wrist wallet. Click HERE for free pattern and tutorial. Have a look on this tutorial on how to make a credit card wallet for your guy. Ideal for holding plastic cards as well as business cards, notes, stamps etc. Tagged wrist wallet, wristwallet. Bookmark the permalink. Little clarification of terms here, please: Close the plug but leave the top open and leave a crate in the inner pocket. Indicate where the flap comes soon. Hi Patricia, thanks for your notes and questions. Sewing4free is a curation site where we link you to hundreds (actually a total of over 1,500) free sewing patterns and tutorials from almost as many different authors and designers. Unfortunately, we’re not able to provide specific details on each and every one of them ourselves. It’s probably best to ask the questions you have posed directly to the pattern author. I see there is a space for that on their website at the bottom of the tutorial. Please give that a try and let us know how you go. What is a ‘bell hole’?